Cullman, Alabama, native and two-time Bassmaster Classic champion Jordan Lee won the inaugural Major League Fishing® Bass Pro Tour event Feb. 3 in Kissimmee, Florida. Lee finished the day with 55 lbs., 1 oz. from 26 fish over runner-up Edwin Evers’ 44 lbs., 3 oz. and third-place Jared Lintner’s 33 lbs., 9 oz. to win the B & W Trailer Hitches Stage One presented By Power-Pole. One of Lee’s first major wins came in the 2017 Bassmaster Classic on Lake Conroe. After each day of competition, the Bass Pro Tour Postgame Show presented by Berkley will be held at the Bass Pro Tour set, located at La Torretta Lake Resort & Spa, (600 La Torretta Blvd, Montgomery, TX 77356), Tuesday, Feb. 12, through Sunday, Feb. 17. The Postgame show begins at approximately 5 p.m. each day. Admission to the Postgame Show is free of charge. La Torretta will have food and beverages available for purchase. Unable to make it to Conroe for Stage Two? Do as over 1.2 million viewers that were not able to make it to Kissimmee did and log on to the all-new MajorLeagueFishing.com and click watch MLF NOW! for up-to-the-minute results. A web-based mobile technology used to score Major League Fishing pros in real time, SCORETRACKER™ is configured to work with your desktop computer, smart phones and other mobile devices. MLF NOW!’s live streaming broadcast of the Bass Pro Tour will feature 10 cameras/cameramen shooting on board competitor’s boats throughout all six rounds of each event. Each day’s on-the-water live stream will run five to five-and-a-half hours in a network gameday-like broadcast. Tune in by logging on to MajorLeagueFishing.com or by downloading the Major League Fishing app on your smart device. Major League Fishing invited 80 of the world’s best anglers to compete in the inaugural season of the Bass Pro Tour. The roster is comprised of Bassmaster Classic champions, FLW Forrest Wood Cup winners, Anglers of the Year and top tour performers from throughout the world of competitive bass fishing. The format for Major League Fishing Bass Pro Tour events will be similar to the General Tire World Championship events that aired on CBS in 2017 and 2018. The 80 anglers will be separated into two groups, 40 anglers in each. Tuesday, Feb. 12 and Wednesday, Feb. 13 are Shotgun Rounds 1 and 2, where 40 anglers (Group A and Group B) compete to catch the highest cumulative two-day weight each day. Thursday, Feb. 14 and Friday, Feb. 15 are Elimination Rounds 1 and 2 where 40 anglers (Group A and Group B) compete to catch the highest two-day cumulative weight. Anglers’ Shotgun Round weight is combined with the weight they catch in the Elimination Round. The top 20 anglers from each group advance to the Knockout Round. 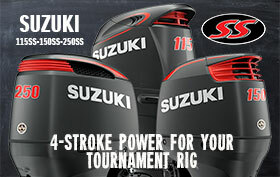 Saturday, Feb. 16 is the Knockout Round where 40 anglers (top 20 from each Elimination Round) compete. All anglers will begin the Knockout Round with zero weight. The Top-10 finishers advance to the Championship Round on Sunday, Feb. 17 when they will compete to catch the highest weight. All anglers will begin the Championship Round with zero weight. A camera in every boat will livestream the action from Championship Sunday on MajorLeagueFishing.com. Alton Jones (Lorena) – Winner of the 2008 Bassmaster Classic and one of the Top 10 leading money winners of all time. Gary Klein (Mingus) – A member of the Bass Fishing Hall of Fame and two-time B.A.S.S. Angler of the Year; has competed in more than 500 tour-level events in his 40-year career. Kelly Jordon (Flint) – A six-time winner with just under $2 million in career winnings. Todd Faircloth (Jasper) – A six-time tour-level winner and $2.5 million career winner. Alton Jones, Jr. (Lorena) – A top-10 finisher in Stage One, he is part of the only father/son duo to compete in tour-level professional bass fishing. Shin Fukae (Palestine) – The only international angler to win AOY titles in two countries (he won the Japan Bass AOY and the FLW Tour AOY in 2004). Jeff Sprague (Point) – A former FLW Tour angler with 16 Top 20s to his credit. Takahiro Omori (Emory) – A top-10 finisher in Stage One, Omori won the 2004 Bassmaster Classic. Jordan Lee won the 2017 Bassmaster Classic on Conroe, a tournament in which Brent Ehrler caught a 9 lbs., 12 oz. fish and Ott Defoe weighed one in tipping the scales at 9 lbs., 9 oz. Mike Iaconelli caught a giant on the final day of that same Classic and logged 8-plus-pound fish in three of the Toyota Texas Bass Classic events he fished on Conroe. Dave Lefebre took home a $200,000 first-place payday when he won the 2009 Toyota Texas Bass Classic on Conroe. Although Stage Two marks the first event for the Bass Pro Tour there, MLF is no stranger to the state of Texas, including the inaugural event in 2012. 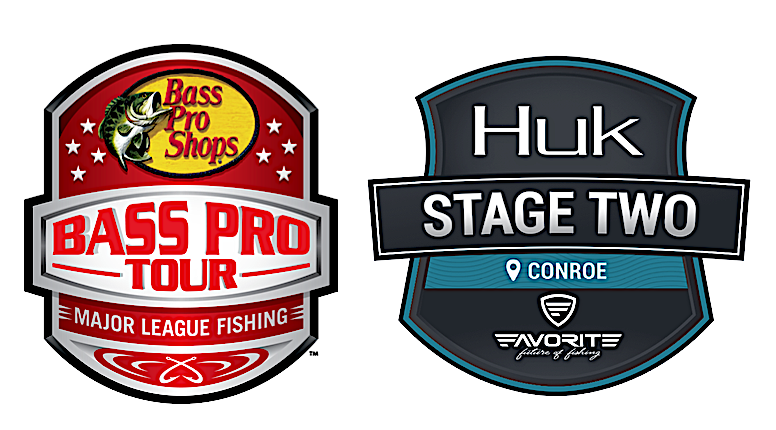 Major League Fishing will offer boat rides that allow credentialed media access to cover the Bass Pro Tour Huk Stage Two presented by Favorite Fishing on the water. Rides must be scheduled in advance. Requests should be submitted to Media@MajorLeagueFishing.com. The angler that catches the largest bass of the day will be awarded the Berkley Big Bass of the Day. The angler with the largest bass caught throughout the competition will win $1,000. Located one hour north of Houston, La Torretta Lake Resort & Spa is Texas charm & hospitality. Situated on the shores of Lake Conroe is a full-service resort and meeting designation offering accommodations, unique dining experiences, a full-service spa and championship golf course. Use code MLF19 for a special room rate. Founded in 2011, Major League Fishing (MLF) brings the high-intensity sport of competitive bass fishing into America’s living rooms on Outdoor Channel, World Fishing Network, CBS, CBS Sports Network, Discovery Channel, Sportsman Channel and on-demand on MyOutdoorTV (MOTV). The new Bass Pro Tour consists of eight events and a championship. MLF will also continue its popular Cup events and World Championship, all of which use the same entertaining and conservation-friendly catch, weigh and immediate-release format. For more information, visit www.majorleaguefishing.com and follow MLF on Twitter, Instagram and Facebook. Also, for more information about MLF anglers, see Game & Fish magazine, the official publication of MLF.